Sorry blog late internet – dongle broke – had to buy new one which took a day and cost €99! 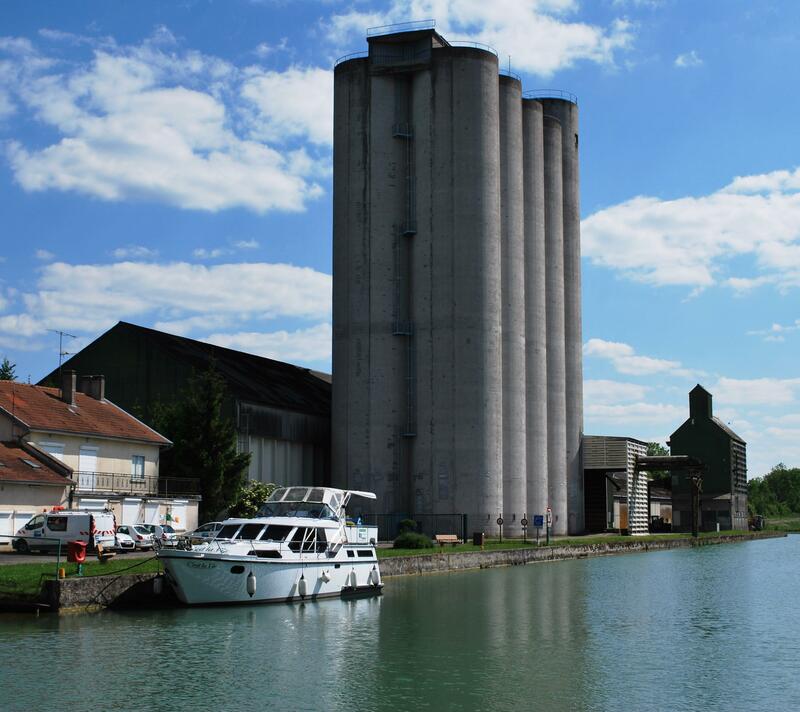 To celebrate reaching Lock 1 and the Summit of The Canal de la Marne au Rhin, when we arrived in Void, I suggested to Nuala that we have dinner out. Nuala was delighted, and went off to get ready which took nearly an hour. 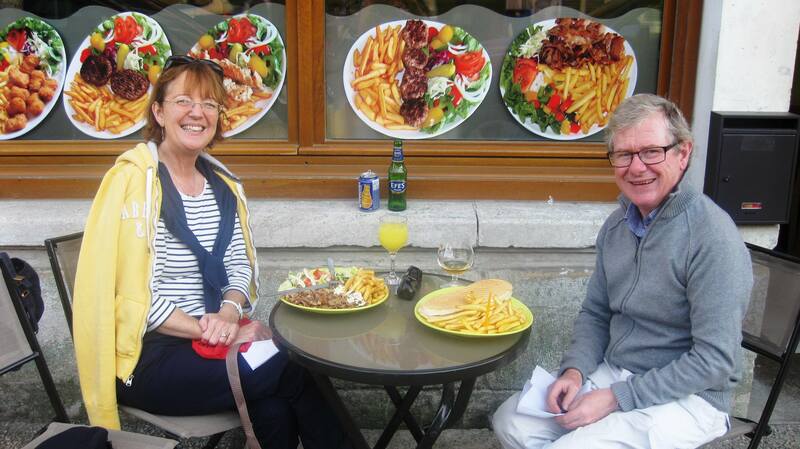 To find out how we ended up eating outside a Kebab Bar read more. When we into the town, the one restaurant we could find, was closed. We went into the local shop and he told us that it would be open at 7.30 pm and that there was also a bar at the other end of the town which served food. The bar did a Plat du Jour only which was steak and chips. No other choice take it or leave it! We left it as I don’t eat meat. and waited for the other restaurant to open. We duly arrived at 7.30 pm and no sign of it opening. After hanging around for a while, we went around the town but could not find anywhere else, except a Kebab fast food bar. They were very helpful and friendly. It was very busy with people coming all the time to collect take away meals. So I had a cheese panini and chips and Nuala has the special offer kebab meal. We asked if we could sit outside at the one table and chairs. Afterwards we figured out that it was for smokers to wait for their meals. But it was a nice evening and we made the most of our special dinner out! Void, for a big town has very few facilities. 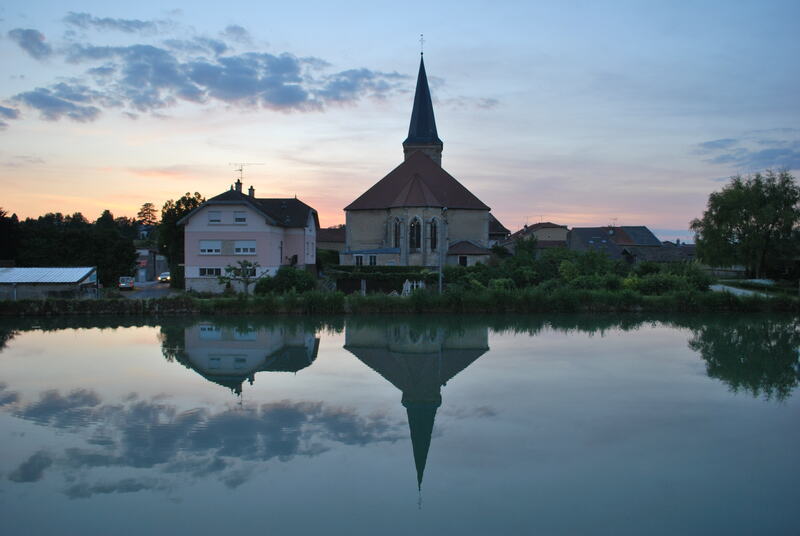 What we have noticed in many smaller French towns is that there are few shops, bars restaurants and post offices. Even the churches are locked up with masses once a month, if at all. There is nowhere for people to meet or socialise. How can the town have any heart? We asked Eric the lock keeper at Lock 1 about this as he lives in Demange aux Eaux. We had cycled around it the day before and all we found was a small butchers shop. The other shops and restaurant were closed down. He said it was true that many small towns no longer had any local business. They had all closed down due to lack of business and now those villagers have to go to the nearest big town to shop, in his case Bar le Duc, 23 km away. I can see why this is happening the large supermarkets are putting small shops out of business everywhere, but from a social point of view it’s tearing the heart out of pretty villages, which seems a shame. This entry was posted in C'est La Vie - The Boat, Comments on Social Economic Lifestyle in France, Experiences on the Canals, On the Journey, Places visited and tagged Bar le Duc, C'est la Vie, Canal de la Marne au Rhin, Demange aux Eaux, Void. Bookmark the permalink. Dont know how to stop the trend. People have to learn to apreciate the local service and how their money can contribute to the local community and keep their neigbours in a job. Yes cannot understand how the big company’s have not targeted the eye sight and flower business yet.